Moisture and roofing systems don’t go well together. Things get even worse if you see signs of moisture in your roof’s insulation. How does this particular problem happen and how does it affect the roof as a whole? Our roof repair experts at CQ Construction shed light on this particular issue. Roofing insulation usually gets wet because of water seeping through the underlayment. In some cases, it may take weeks or even months before the leak gets past the decking and seeps into the insulation. 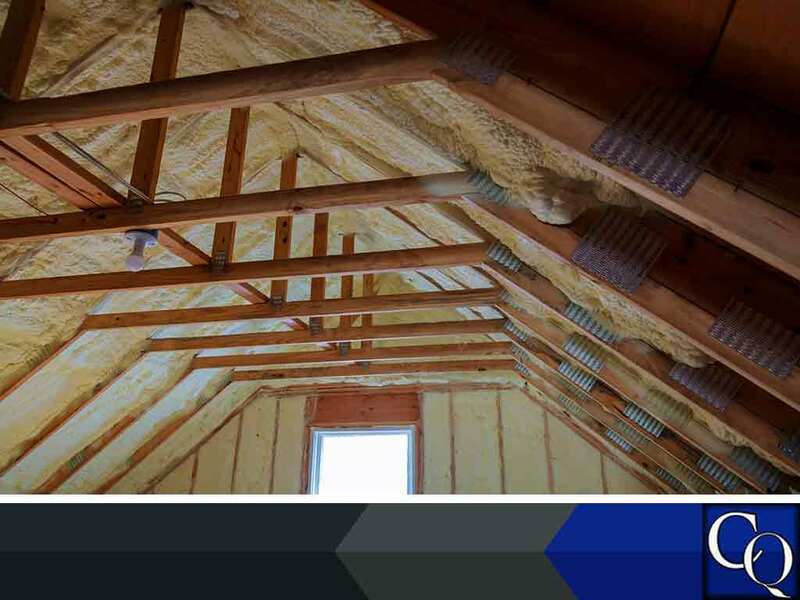 There are also times when insulation gets wet because of condensation caused by poor ventilation or existing damage in the insulation itself. Wet insulation can lead to a host of other moisture-related problems. If there’s enough moisture, water will start dripping from the insulation and straight to the ceiling and walls. Since insulation also tends to hold moisture for a long time, it also serves as a breeding ground for mold and mildew. Last but not least, the moisture acts as a thermal bridge that allows the outdoor conditions to have a bigger effect on indoor temperature. You need a roof inspection by a professional and CQ Construction would be happy to help. The longer your roof insulation stays wet, the greater the chances of it causing bigger problems later on. To make things worse, the roof’s poor energy efficiency will also have an effect on your home’s electric bills. This means your roofing system’s value goes down the longer the problem is left unchecked. Wet insulation is a serious problem but it can easily be avoided with proper maintenance. Calling roofing contractors for regular inspections will go a long way to keeping leaks in check and your roof insulation safe from moisture damage. You should also refrain from attempting to fix the problem on your own to avoid the risk of causing more damage due to inexperience or voiding the roof’s warranty. Don’t let wet roofing insulation cause major problems later on. CQ Construction is the most trusted roofing contractor in Fort Walton Beach, FL. You can contact us at (850) 634-4007 or fill out this contact form to request a free estimate.